Blackberry plants have three distinct growth habits: semi-trailing, trailing and erect. The botanical classification of blackberries is Rhubus. Common names for blackberry varieties include: Loganberries, marionberries, dewberries and boysenberries. Blackberry plants have a long plant life, and with proper care yield delicious fruit year after year. 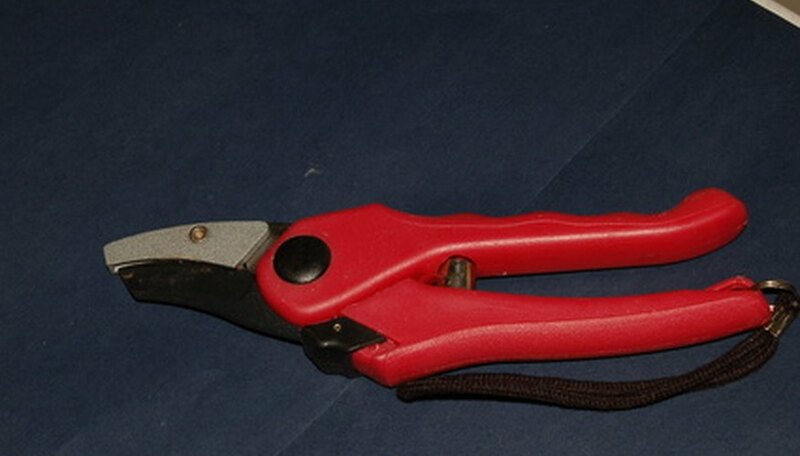 Place trailing and semi-trailing blackberry cultivators 5 to 8 feet apart and erect cultivators 4 to 6 feet apart. Dig holes as wide and deep as the blackberry plant’s root ball. Insert a trellis into the soil for support after planting. Trellises make caring and harvesting blackberries easier. 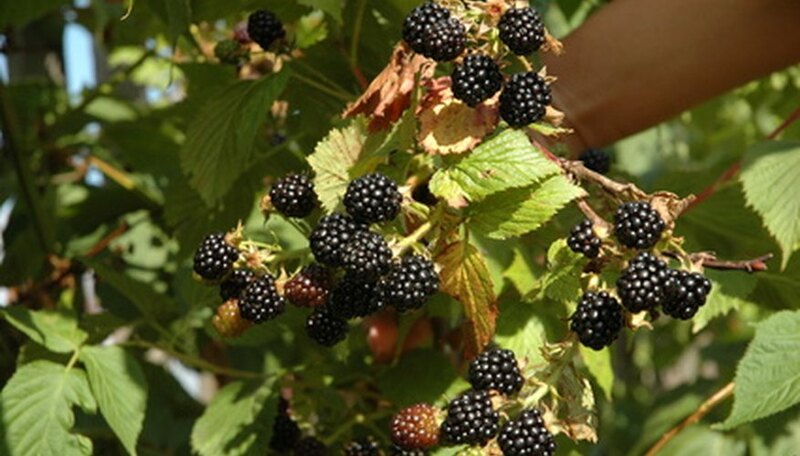 Blackberry plants tolerate a variety of soil types, provided they are well-drained. Compost, peat moss and other media help improve the drainage quality of the soil. Spread a 3-inch layer of mulch around the base of the blackberry plant for additional help with drainage issues. Blackberry plants require 1 inch of water per week. Do not water if the plant has received more than 1 inch of water by rainfall. Fertilizing (also called feeding) helps blackberry plants thrive. 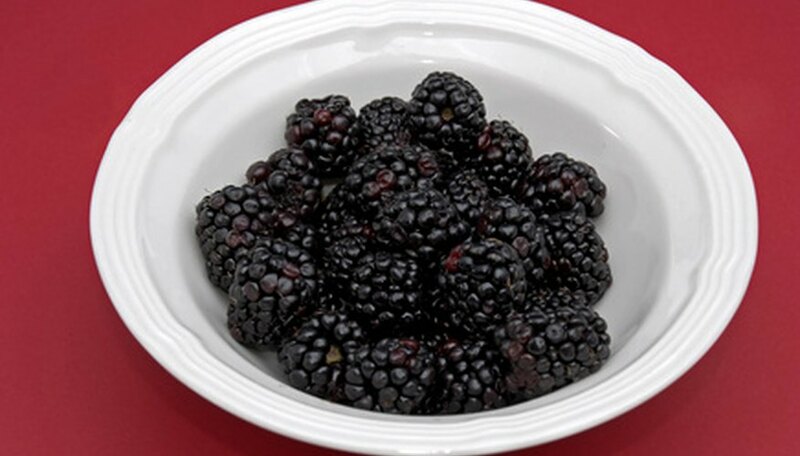 Fertilize blackberries in the spring and again after harvest. 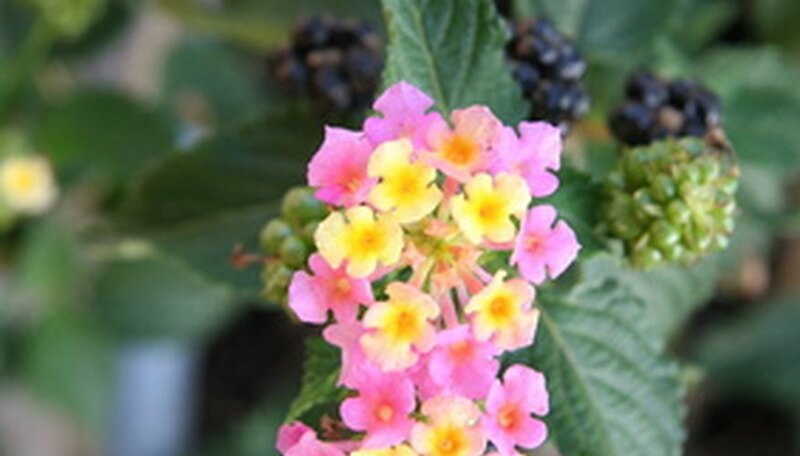 Spread a 10-10-10 fertilizer in a 12-inch circle around the blackberry bush. After the blackberry bush has matured, apply fertilizer directly into the soil at the base of the plant, rather than a circle around the plant. Blackberry plants do not require pruning during the first year of growth. They produce primocanes the first year of growth, followed by producing fruiting floricanes the second year. Floricanes should be pruned soon after fruiting, as they die not long after. 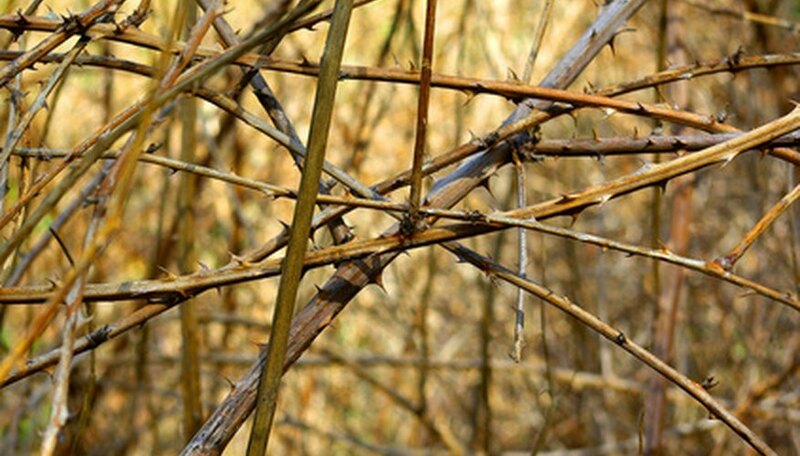 Pruning the canes helps promote new growth and increases fruit production. 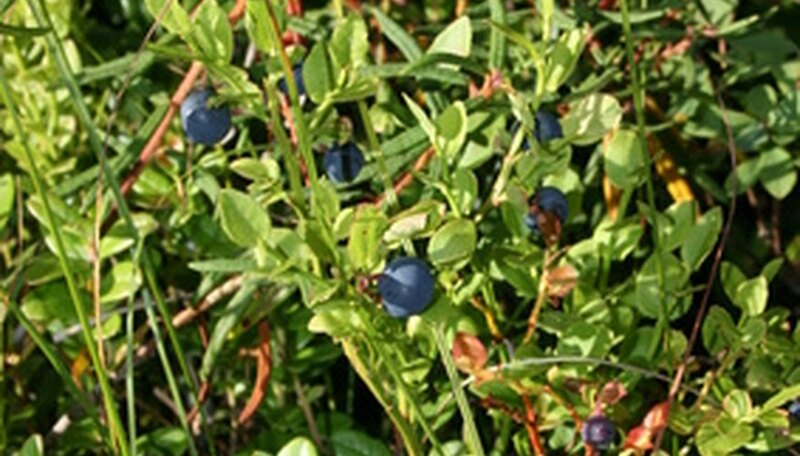 Trailing and semi-trailing blackberry cultivators produce blueberries two weeks after erect cultivators. Blackberries turn slightly dull at their ripest peak. Harvest at least twice a week.